Since Netflix doesn’t release viewership numbers, we don’t know for sure if it was due to lack of interest. But it’s also possible that it’s due to Disney’s upcoming streaming service, which is expected to launch next year – the same year that Disney is ending its contract with Netflix. Disney has said it has no plans to move Marvel shows from Netflix, but as Disney prepares to enter the streaming wars, maybe it’s changed its mind. Netflix’s Marvel line-up has been abruptly trimmed. 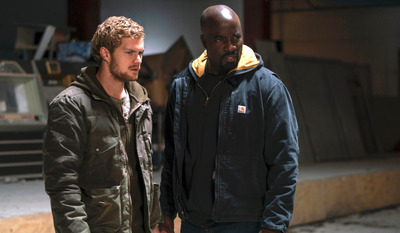 “Iron Fist,” the most critically panned of the shows, was the first casualty. Despite an improved second season this year, Netflix canceled it earlier this month. More surprising was the cancellation of “Luke Cage” that swiftly followed, a show that received much better critical reception than “Iron Fist” in its two seasons. But there’s another potential reason looming over the cancellations. A Disney spokesperson told The Times that it had no plans to move Netflix’s Marvel shows to the streaming service. But what if its plans have changed? If Disney’s streaming library will already be hindered, then it may not want to give Netflix any more of its content than it has to. That could lead to complicated negotiations for Netflix. Disney is also reportedly developing Marvel shows for its service already that would spin-off of the Marvel Cinematic Universe movies and star the likes of Loki, Scarlet Witch, and more. Netflix cancelling its Marvel shows would avoid confusion, and competition, with Disney’s Marvel shows at the very least. At this point, we don’t know the fate of Netflix’s remaining Marvel series. “Daredevil” is attracting high praise in its recently released third season. The second season of “Jessica Jones” was well received this year, too. And “The Punisher” wrapped filming its second season this summer. Those shows could be safe (for now), especially because they are darker than usual MCU fare. But there’s also plenty of reason to believe Disney could try and grab its Marvel shows back from Netflix to bolster its own service.